Click on the title of this post to read it and see a related header image. NOTE2: Go to this post to see images of the skeleton being assembled at The Academy of Science. NOTE: Hello orca enthusiast. You’ve found my images, take a moment to leave a comment at the bottom of this page. Tell me how you got here, what your interest in orcas is. This orca skeleton is being assembled at the California Academy of Science for the next few weeks. Go here to learn more. I packed out both pectoral fins as well as four vertebrae. 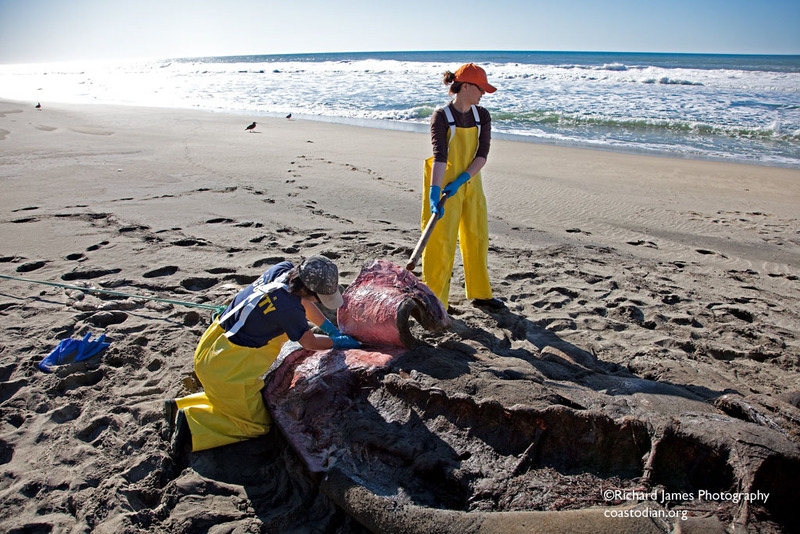 Here are images from the removal of O319 from the beach. 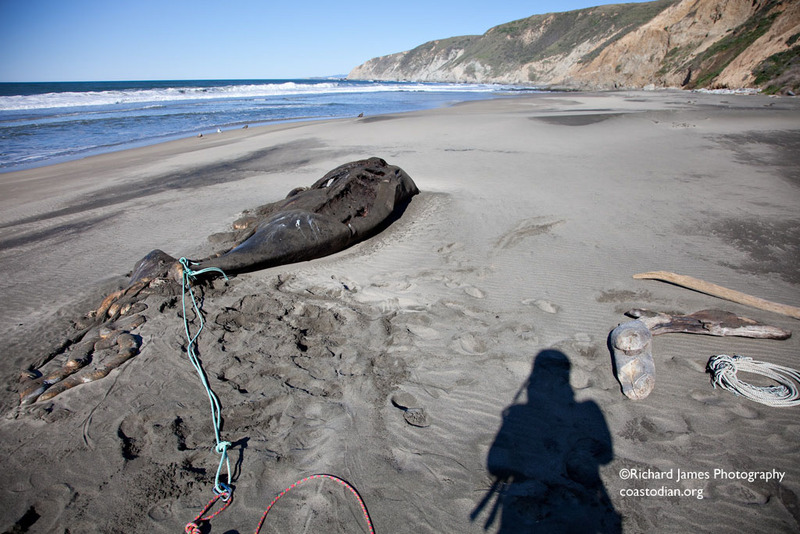 An 18 foot long, juvenile male orca washed ashore on a remote beach at Point Reyes just before thanksgiving 2011. This animal belongs to one of three ecotypes, the offshore group. It was last seen off Vancouver in September. The other ecotypes are resident and transient. These names are derived based on what the animals do during the summer months. A full necropsy was performed. 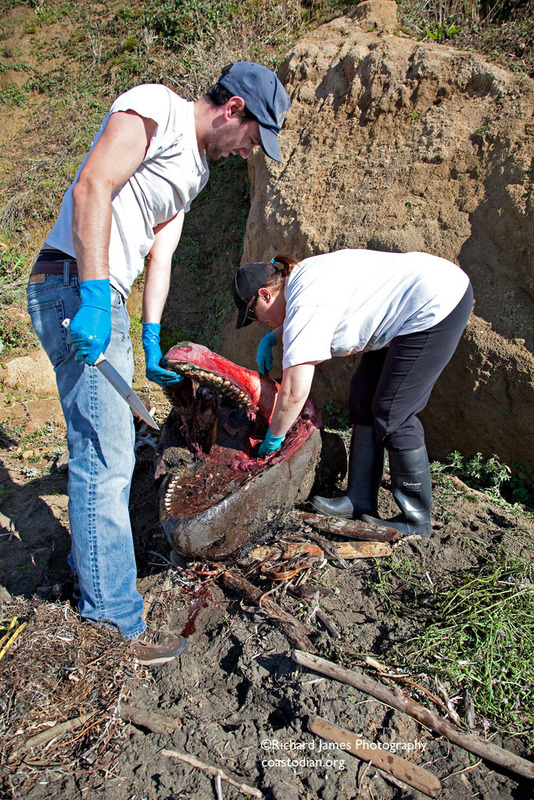 Blood was found in the blowhole and there was other evidence of trauma to the head. 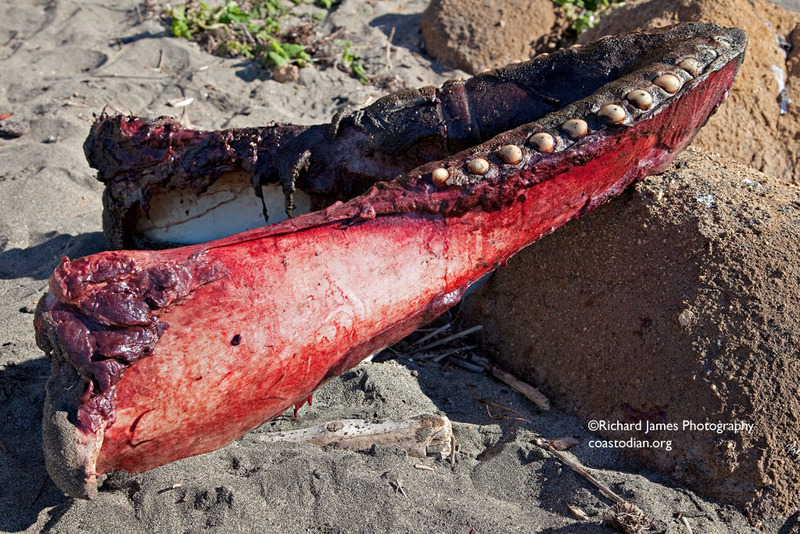 This may have been the result of being struck by a ship, or during interactions with other whales. No determination on cause of death has been made. Little is known about offshore orcas. 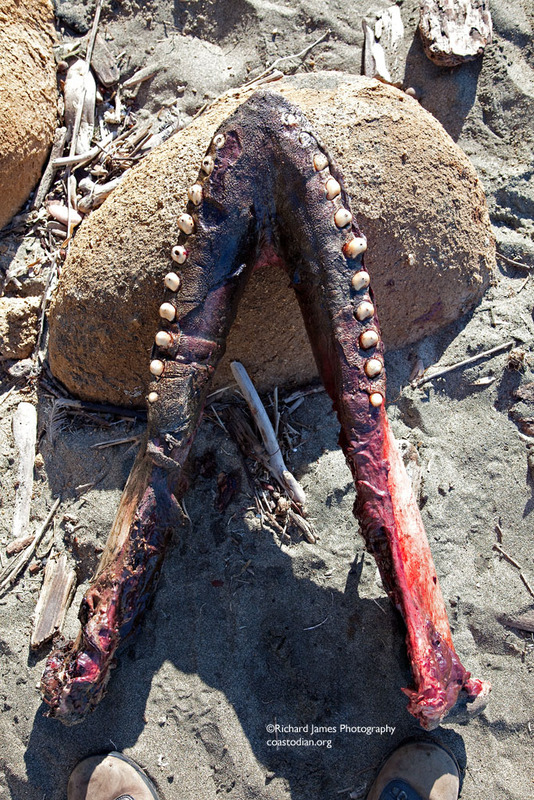 This may be only the second specimen of this type to be collected, most animals die offshore and sink. Orcas are actually members of the dolphin family, the largest member. 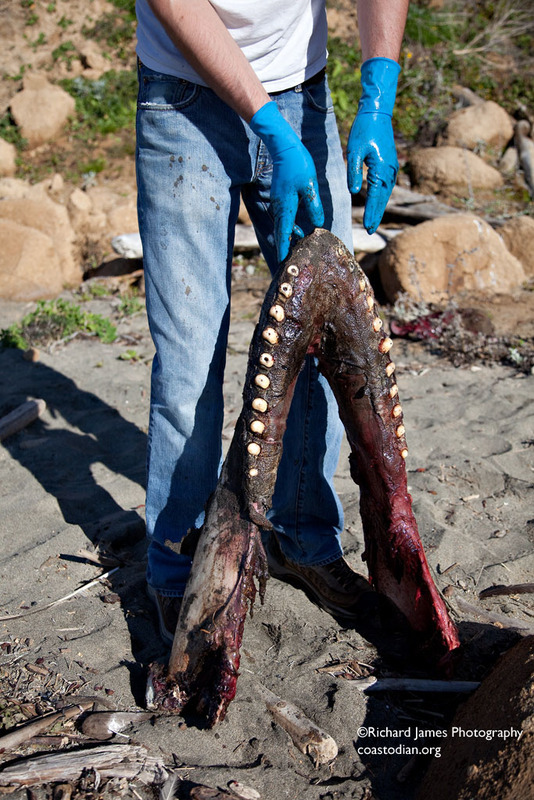 Males can grow to over 30 feet long, though are usually 20-26 feet in length. 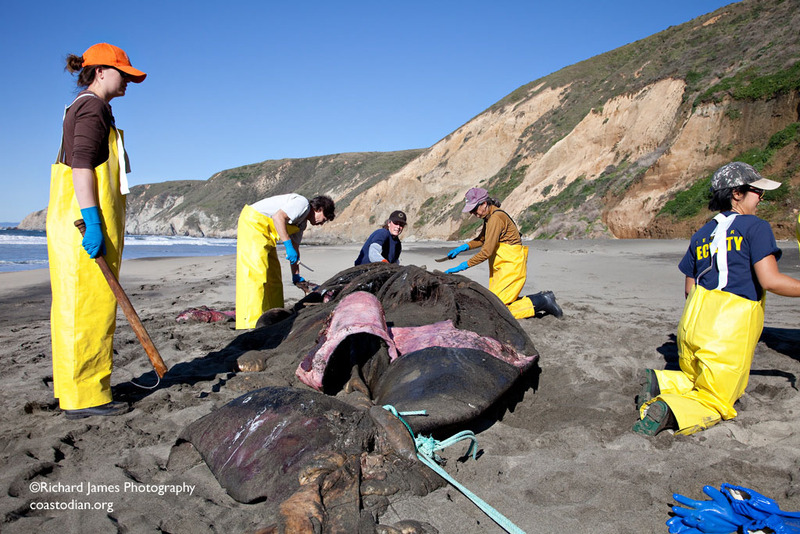 This is the first killer whale known to wash ashore at Point Reyes in many decades. Offshore orcas mainly feed on sharks. 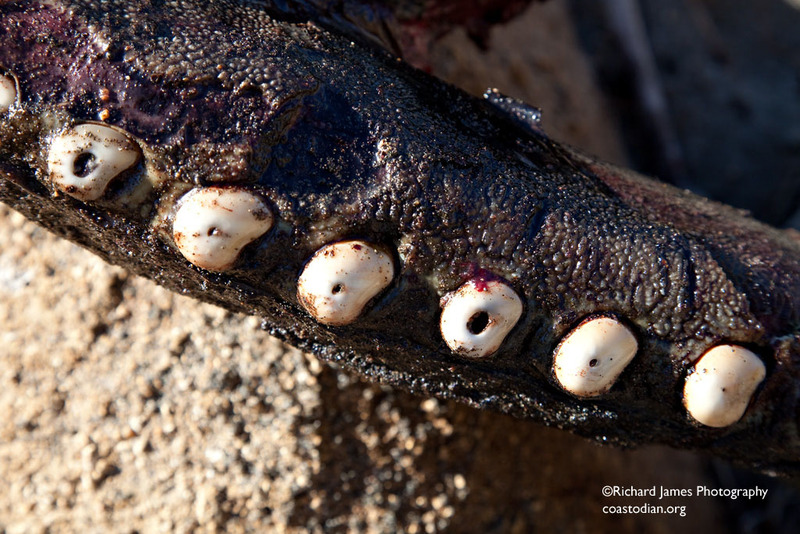 Sharks have very tough skin and that is likely why the teeth of this animal are very degraded. 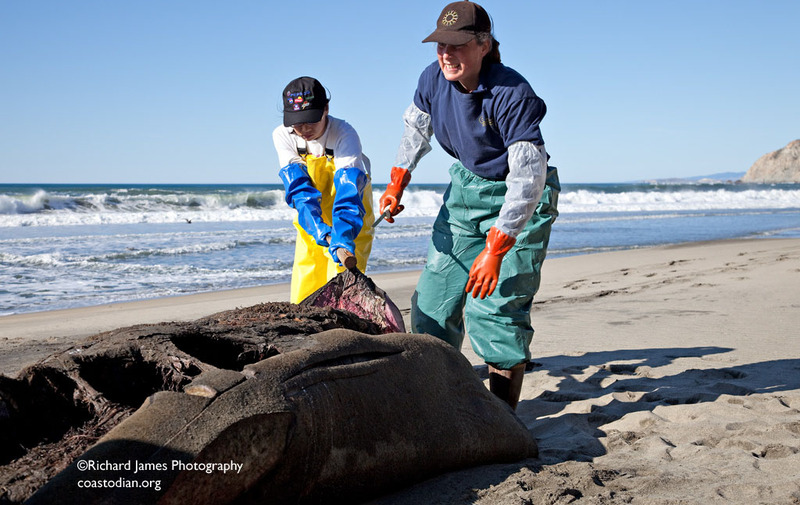 Resident animals mainly feed on salmon, transients prefer marine mammals, such as seals. Here is some video of the whale in the surf. 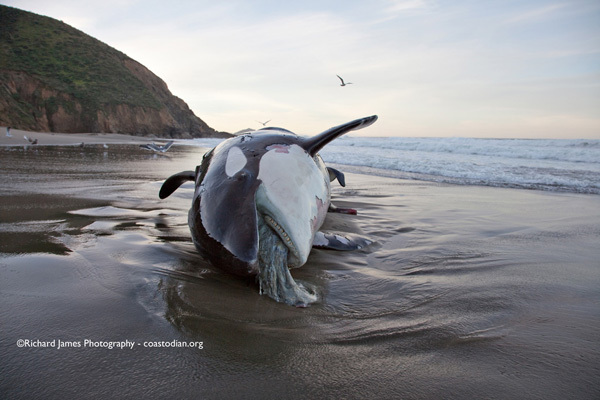 This entry was posted in Uncategorized and tagged "orca o319", "ship strike", beach, California Academy of Science, dolphin, killer whale, necropsy, ocean, off-shore, offshore, orca, point reyes, seashore by Coastodian. Bookmark the permalink. So cool!! And sad as well. 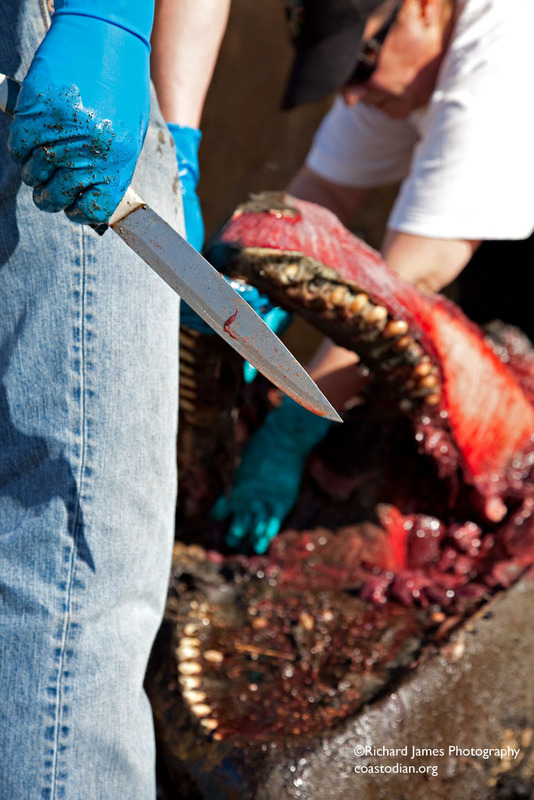 Is the skin eaten away? Did it smell really badly? What did the park do with it? 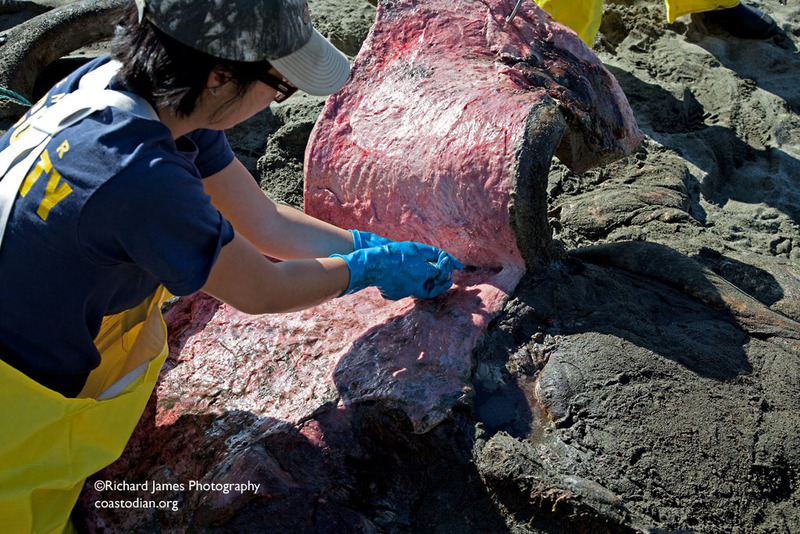 The whale had been rolling in the surf for a few days, so yes, much of the skin has been worn off. 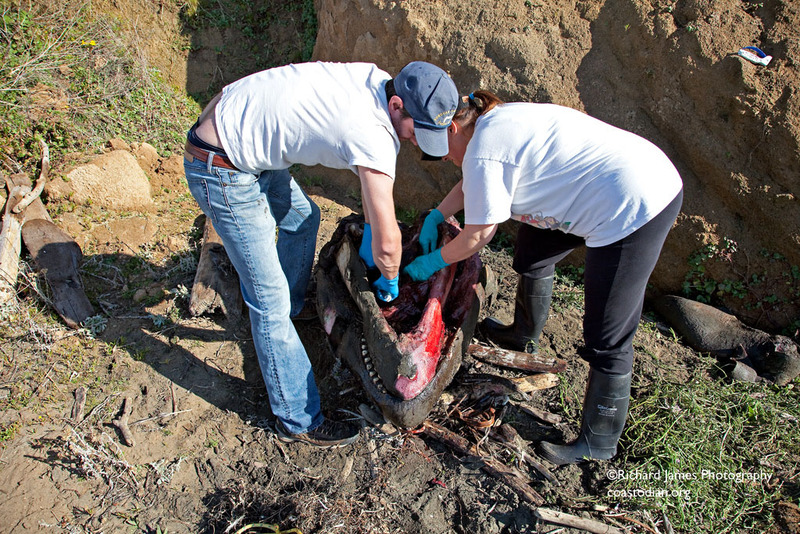 The day after I shot these images, biologists from The California Academy of Science and The Marine Mammal Center performed a necropsy. 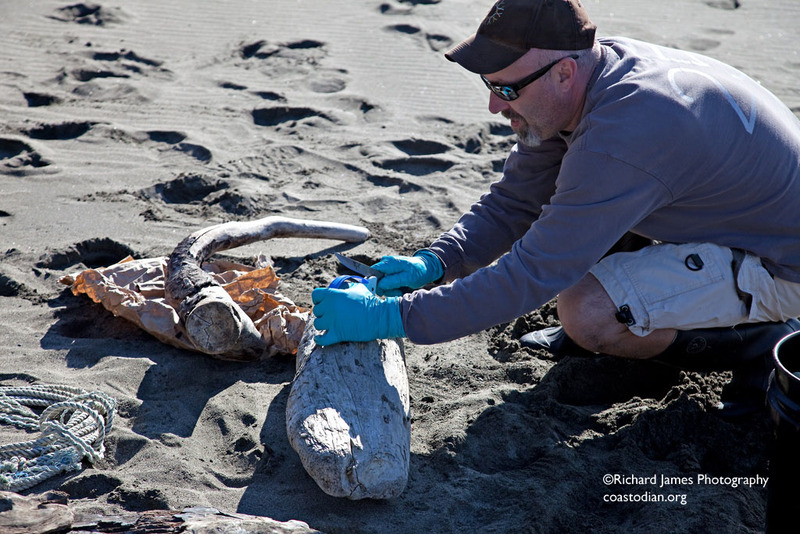 Tissue samples were taken as well as bones for further study. 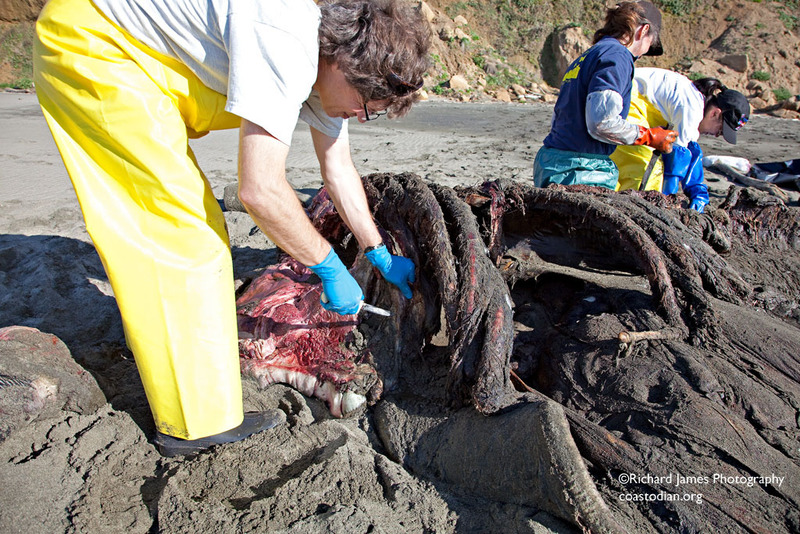 The whale is left to decay naturally after this, vultures and gulls are more than happy to help in this process. I have been told that it is not normal for the teeth to be worn so in such a young animal. As I learn more, I will share it here, stay tuned. It’s suspected this orca is of the offshore type. Offshore orcas are known to eat sharks. Since sharks have very rough skin, that wears down teeth. 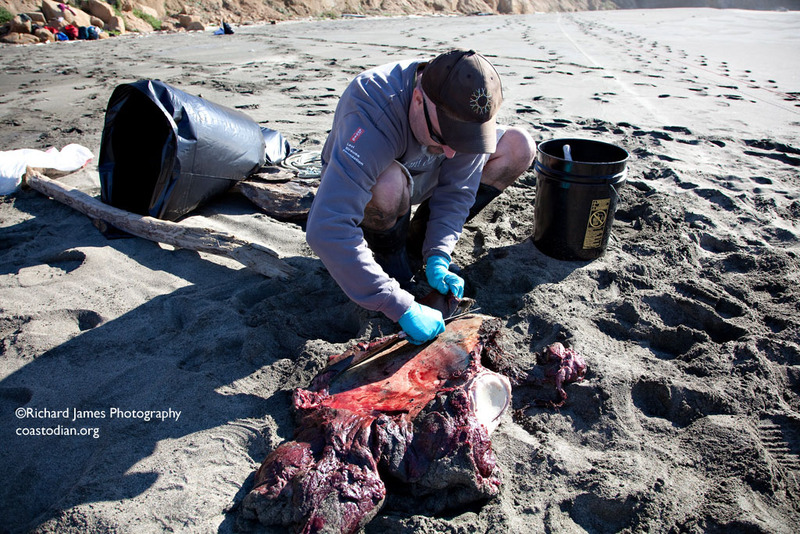 It’s sad this orca died, but much information can be gathered from its body. This includes any food he may have eaten before he died. Oh, for – not this again. Sea World doesn’t drill holes in orcas’ teeth. 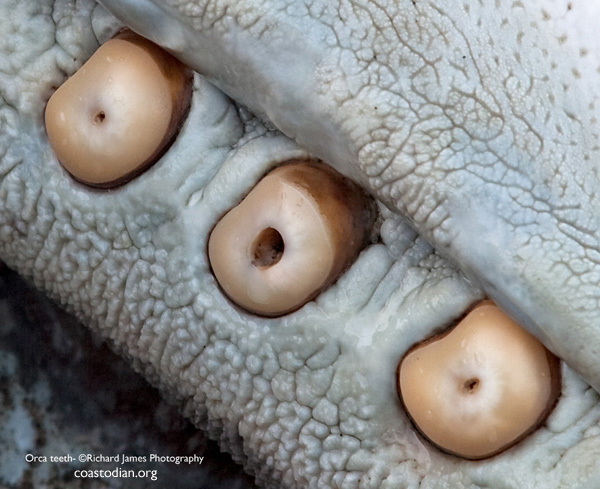 The holes are pulp cavities that become visible when the teeth are worn down. That’s why you see them in this wild one. 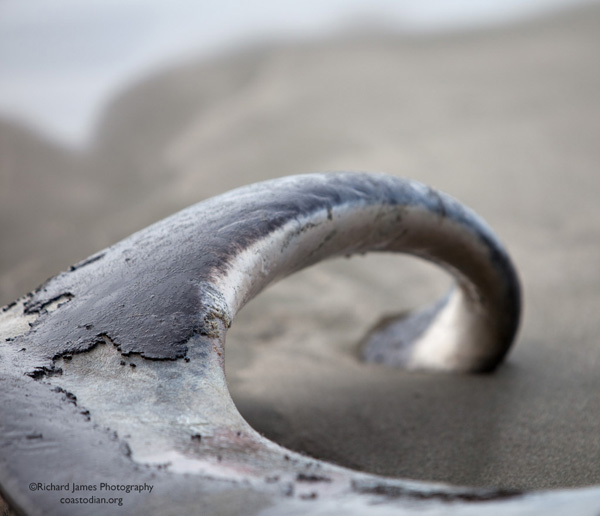 Captive orcas tend to wear down their teeth chewing on things, and some wild orcas wear them down due to a tough diet, like sharks in the case of this offshore animal. He was an offshore orca. Their teeth get worn down way faster than say a resident orca. Its sad he passed. 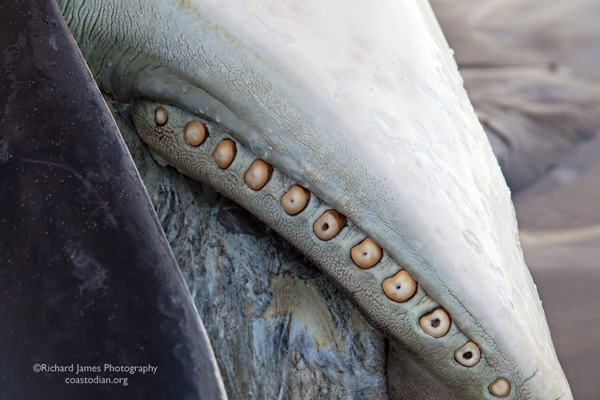 All killer whales teeth look like that when worn to a certain point. 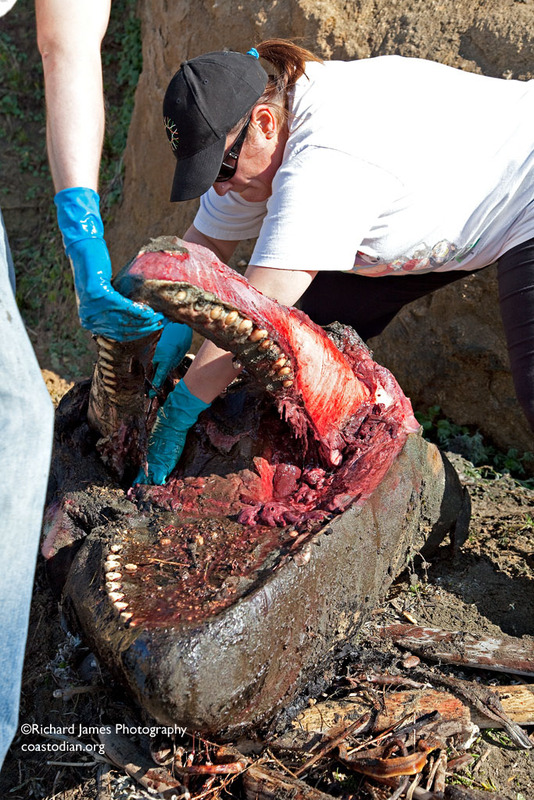 Seaworld doesn’t touch the whales teeth unless they have to for simple cleaning or an infection. In the second one, a bird is eating from one of those areas. The Navy has increased bombing exercises along the west coast as part of their 5-year Warfare Testing Plan. I have been wondering if the blunt force trauma that has been reported could have been caused from explosive blasts. 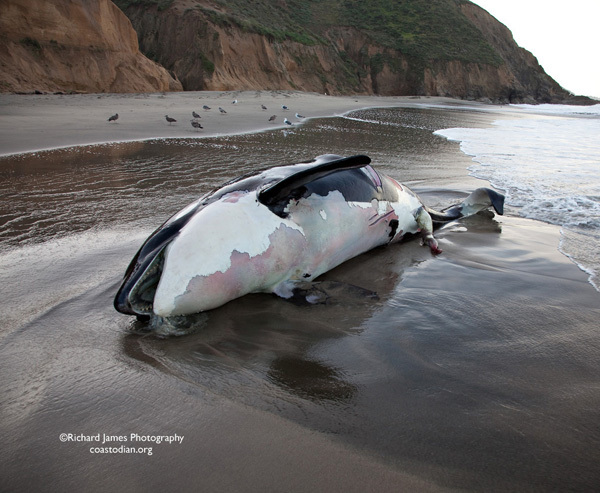 Some dolphins died earlier in the year near San Diego from this, but if an orca died it would be a violation of their ‘incidental take’ permit. What is coming out of his mouth?? 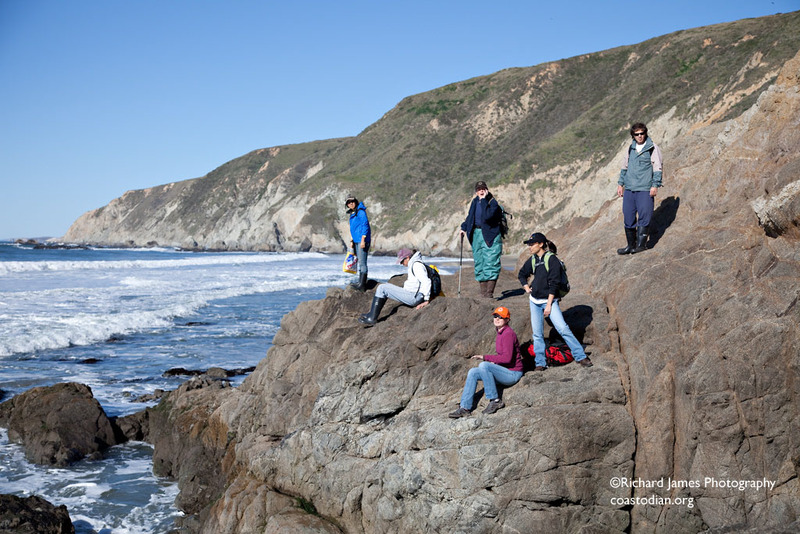 It was great to meet and work with you cleaning up the Pinnacle Gulch shipwreck today. Your photographs are beautiful . . . I wish I’d know you didn’t have a memory card as I would have happily given you mine. I’ve seen Orcas here at Doran . . . they’re stunning . 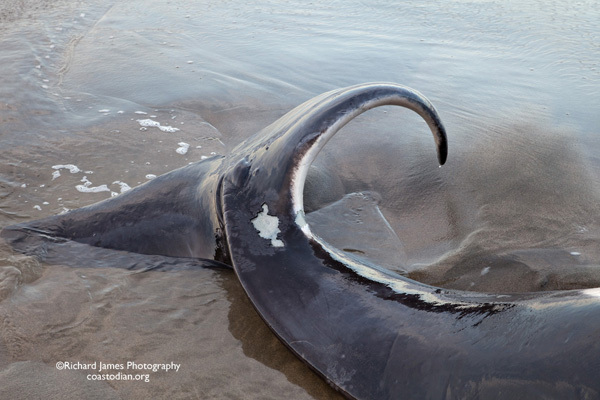 . . heartbreaking to see this beautiful animal gone and to think he might have been killed by a ship . . .
I’ll be following your blog . 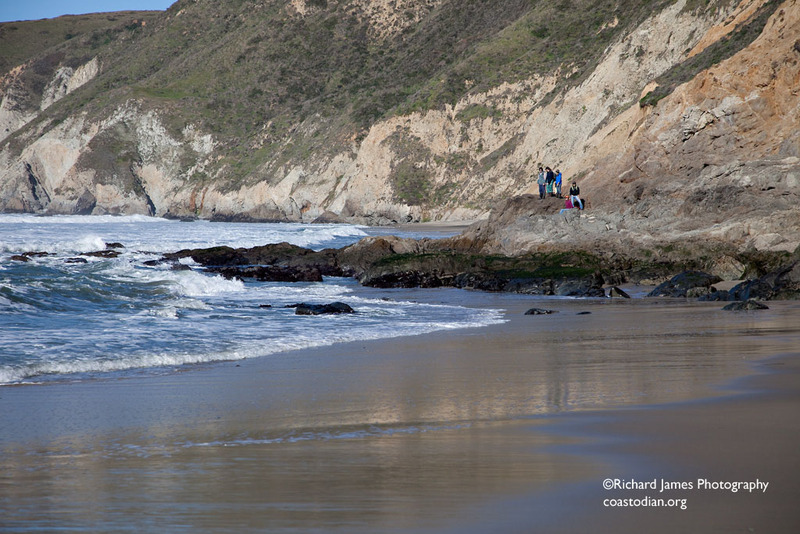 . . hope to connect with you on the beach again someday soon. Thanks for all your hard work. Thank you for sharing your photos and information. I appreciate the scientific approach. I have seen captive Orcas up close and know some people who have worked with them. While I have not asked specifically about dental care, when I had the opportunity to feed one (and an older one at that) the teeth were all very healthy looking and not drilled or unnaturally worn down in any particular area. 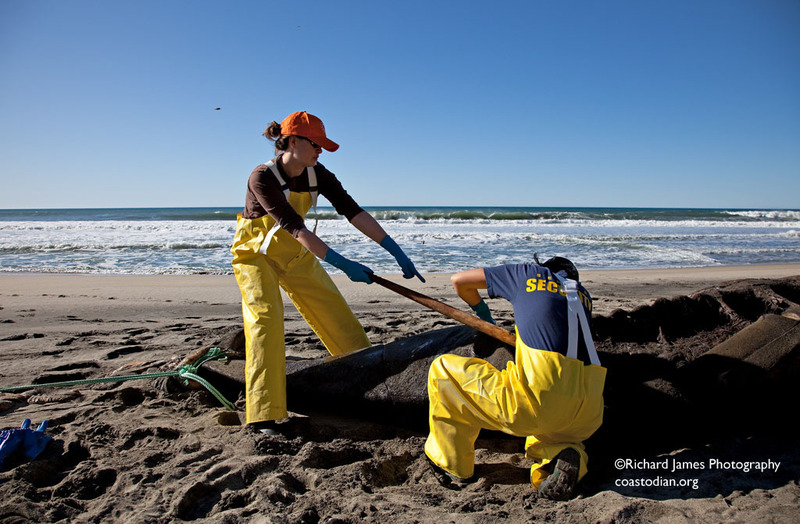 Sea World would not transport an animal hundreds of miles north to dispose of it. 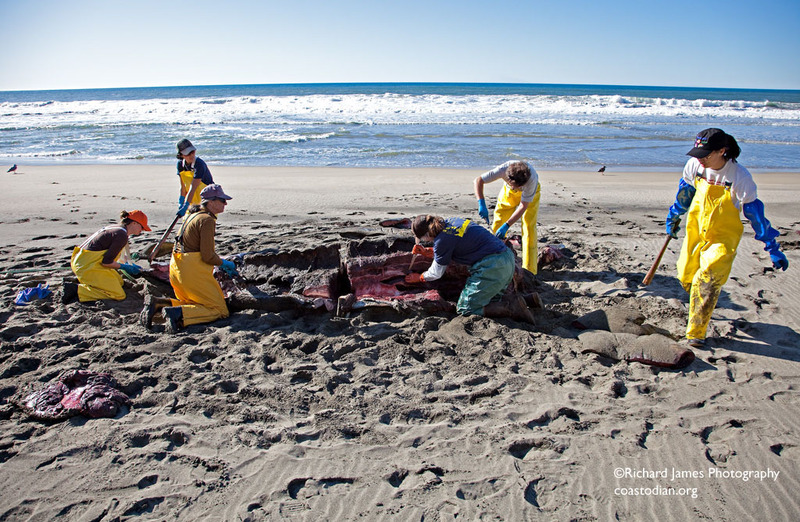 If they DID want to dispose of an animal (and I really don’t think they would in this manner) it would be a simple matter to sink the body near San Diego. The teeth so worn down in a juvenile puzzles me. It makes me wonder how the adults could capture and kill sharks with teeth that are worn flat to the gums by the time they are barely reaching adulthood. I would love to know more about this if anyone has a link or more info. Thanks for stopping by. This is a wild orca. It is a member of an ecotype that little is known about, offshore orca. What is known is that a primary source of food is shark, sleeper shark I believe. 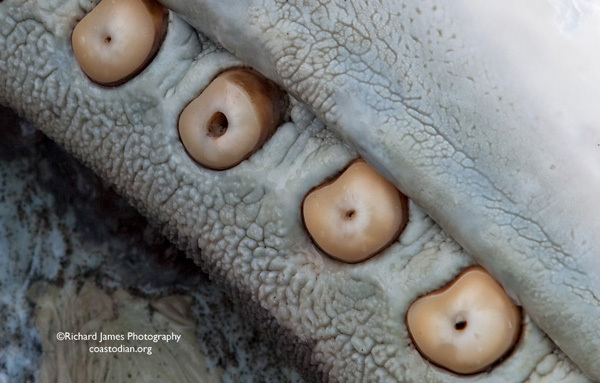 The rough skin of the shark wears the teeth down on this ecotype of orca. If you want to the see the skeleton from this animal, visit The California Academy of Science in San Francisco. It is on display there. While sadness has filled my heart from this orca, it also lights up at the fact that “The Coastodian” is an actually occurring project. I love the mission, the goals, and the accomplishments.